Dana Air has shown clear leadership in crew professionalism among domestic airlines in Nigeria as it crew clinched the Excellent Crew Professionalism Award, and Cabin Crew Excellent Award at the Nigerian Aviation Business Exhibition 2018 and Cabin Crew fair 2018 held in Lagos recently. 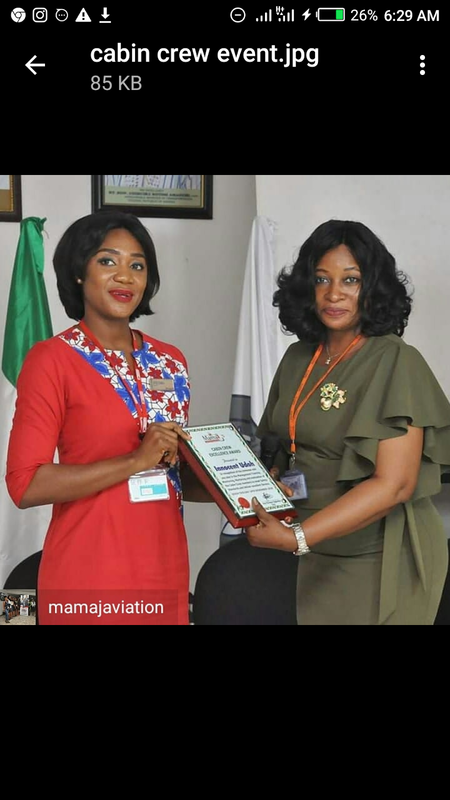 The Aviation Business and Exhibition 2018 and the Cabin Crew Fair 2018 organised by Mamanaviworld and Mama J Aviation Consult respectively, are platforms designed for stakeholders to deliberate on industry best practices, human capacity development and way forward for Nigeria's aviation industry. He noted that the Dana Air crew also made the airline proud at the last two editions of the Nigerian Aviation Awards where one of its cabin crew members, Joy Louis, bagged the Air Crew of the year award for her human relations and efficiency, while two other members of the airline's crew (Collins Ginika and Chiogo Okani ) beat other domestic airlines crew to the King and Queen of the Air contest crown. Obi maintained that Dana Air will continue to be a leading light and will to do its best to encourage best practices andprofessionalism in the industry.